There is still no consensus about timing of laparoscopic cholecystectomy after endoscopic retrograde cholangiopancreatography in the treatment of cholecystocholedocholithiasis. The aim of our retrospective study is to analyze the optimal timing of surgical treatment in patients presenting concurrent choledocholithiasis, choosing to perform a sequential endoscopic plus surgical approach, introducing a same-day two-stage alternative. All cases of cholecystocholedocholithiasis occurred between January 2007 and December 2014 in “Gradenigo” Hospital (Turin—Italy) were reviewed. Patients were divided into three groups, based on the timing of cholecystectomy after endoscopic retrograde cholangiopancreatography, and compared. Out of 2233 cholecystectomies performed in the mentioned time interval, have been identified 93 patients that fulfill the selection criteria. 36 patients were treated with a same-day approach, while 29 within first 72 h and 28 with delayed surgery. The overall length of stay was significantly lower in patients that were treated with a same-day approach (4.7 days), compared with other groups (p = 0.001), while no significant differences were found in terms of length of surgical intervention, intraoperative complications and conversions to open procedure, postoperative stay, morbidity and mortality. 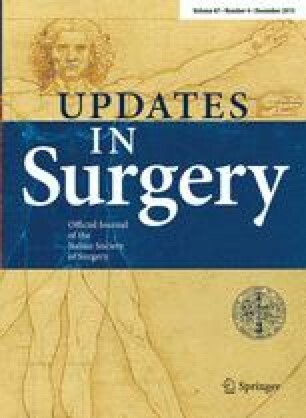 Patients treated with delayed surgery had a 18 % recurrency rate of biliary events, with an odds ratio of 14.13 (p = 0.018). Same-day two-stage approach should be performed in suitable patients at the index admission, reducing overall risks, improving the patients’ quality-of-life, preventing recurrency, leading to a significant cost abatement; furthermore, this approach allows same outcomes of laparoendoscopic rendezvous, avoiding technical and organizational troubles.